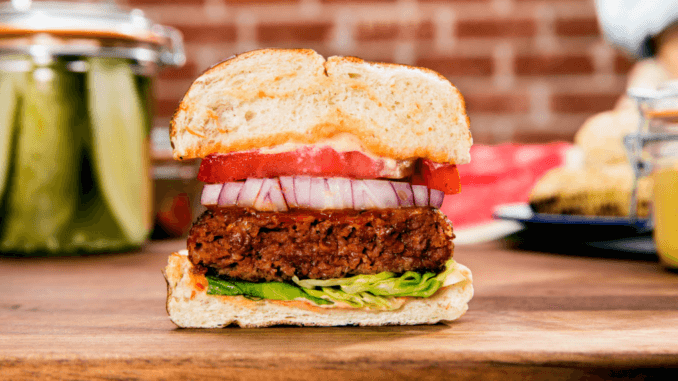 Beyond Burger have just announced another milestone as their distribution expands to over 13,000 retail stores, most recently launching in Publix, Sprouts, Weis, and ACME. The famous burger is also now on the menu at over 12,000 restaurants, stadiums, and colleges, and as such they have today stated their availability in 25,000 outlets around the world in total. It was also announced that from today the Beyond Burger will be available in UK pub chain All Bar One – whereas previously it could only be found in one location of Honest Burgers. These most recent plans for expansion and development come after it was reported that Canada will be investing $153M to keep Beyond on Canadian menus, and after a steady stream of news from around the world stating that the famous burger is outselling its meat counterparts. Last month, Beyond’s CEO and founder Ethan Brown was awarded the UN Champions of the Earth award alongside Patrick Brown from Impossible Foods. Will they be able to sustain this level of progress? Let’s hope so.